Get Your Free Costa Rica Report Today! Expats have been flocking to Costa Rica’s Central Valley for decades and it’s not hard to see why. The spring-like climate, central location, and ready-made expat community are just a few of the reasons more and more expats are deciding to make the Central Valley their overseas destination.The climate is perfect, the Valley’s altitude of 3,000 to 5,000 feet makes it comfortable all year round, and it has a climate that’s like few others in the world. Daytime highs are usually in the 70s F or low 80s F, and lows at night are typically in the 60s F. Few residents see a need for central heating or air conditioning. It’s also hard to beat the Central Valley when you’re looking for a beautiful, friendly, and relatively inexpensive place to live. Parts of the Central Valley is positively alpine. 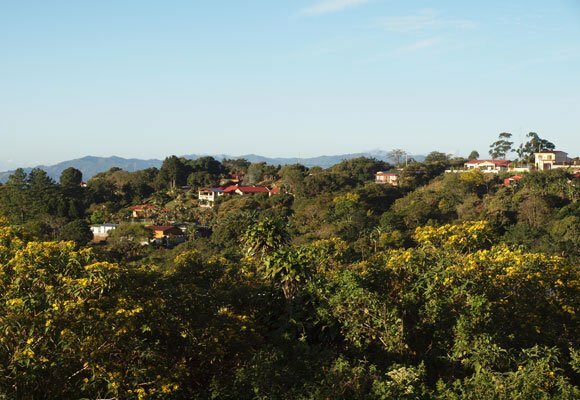 Nestled among forests, mountains, and farms are villages where expats have been living side-by-side with Costa Ricans for many decades. As a result, supportive communities have formed, providing schools, clubs, sports, and a huge range of cultural activities. Like the name would suggest, the Central Valley is central. You can be in San José, the country’s capital, and its suburbs within an hour to an hour-and-a-half at most from just about anywhere in the Valley. There you’ll find the best shopping in the country, including North American-style malls and warehouse shopping clubs. 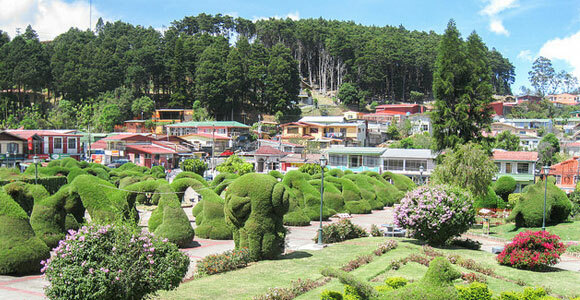 It’s quite common for expats living in the Central Valley to pop in to San José for shopping, dinner, and a movie. If you want to hit the beach, it’s an hour or so to the Pacific. The Central Valley—home to about two-thirds of Costa Rica’s population—is also the place to find elegant residential communities, excellent medical facilities, splendid restaurants, luxurious hotels, and spectacular natural wonders, including volcanoes and rain forests. Expats and visitors alike won’t be disappointed with what Costa Rica’s Central Valley has to offer. Costa Rica’s fame as a retirement destination is richly deserved and in the Central Valley the climate is always pleasant. Expats are attracted to Costa Rica for numerous reasons, which include the low cost of living, excellent health care, modern telecommunications infrastructure, beautiful beaches, rainforests, lush valleys, and cool mountains…not to mention the theaters, art galleries, and fine dining. By almost any standard, Costa Rica has some of the best health care in Latin America. Not only that, but the country’s public and private health systems are constantly being upgraded—new hospitals, new equipment, and improvements in staff training. San José, the country’s capital located in the Central Valley, has the best public and private medical care in the country. This of course makes the Central Valley in particular a popular spot for retirees. It’s hard to beat the Central Valley when you’re looking for a beautiful, friendly, and relatively inexpensive place to live. 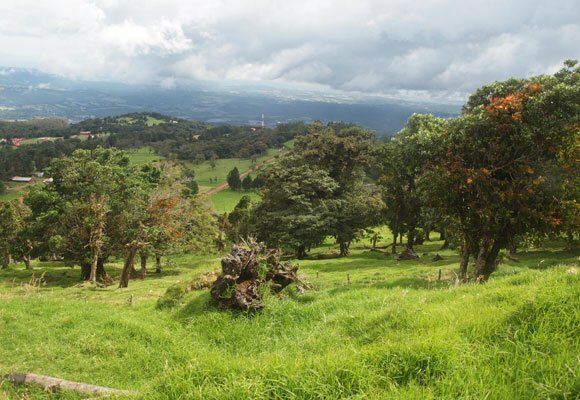 Nestled among forests, mountains, and farms are villages where expats have been living side-by-side with Costa Ricans for many decades. As a result, supportive communities have formed, providing schools, clubs, sports, and a huge range of cultural activities. This built-in expat community will leave you with plenty to keep you busy. If you find it difficult to choose which climate you prefer, you will be glad to know that the mild temperatures of the Central Valley are just one hour by car from the closest tropical beaches of the Pacific Coast. Therefore, if you are looking for mountain living, but not willing to forego the beach, the Central Valley allows for both lifestyles. As in many other parts of the country, expats in the Central Valley have the opportunity to socialize with local residents, who happen to be some of most successful and best-educated people in Latin America. In some parts of the Central Valley you can find suburban communities like those in upscale parts of California or Florida, although the climate is far superior in the Central Valley. 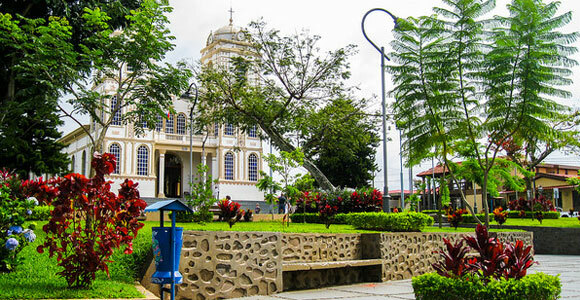 To the west of San José, you’ll find rural areas where country estates overlook Costa Rica’s stunning mountain ranges. Throughout the Valley there are historic towns that will remind you of another age—some of the most popular towns are Atenas, Grecia, Escazú, Heredia, and San Ramon. The rich volcanic soil of the Central Valley has also made this an ideal spot for agriculture. 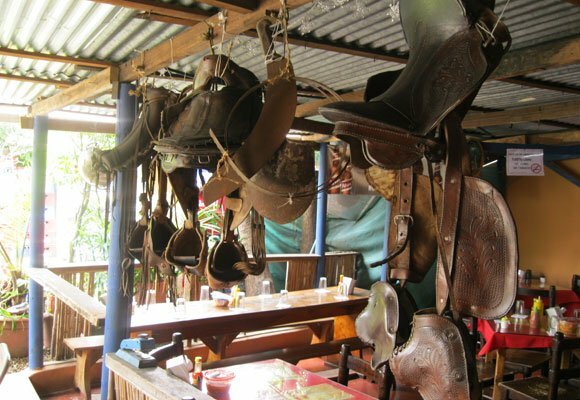 Coffee plantations blanket the mountainside—gourmet coffee from this area is highly prized. And farmers line the roadsides with strawberries—a couple of bucks for a kilo. 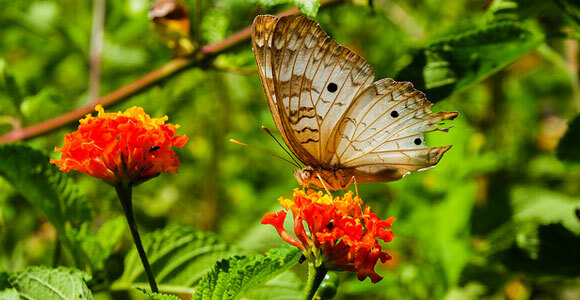 Costa Rica is renowned for its Pura Vida lifestyle. The Central Valley, with its lush mountain ranges, exquisite coffee, and warm friendly locals offers the perfect lifestyle for those looking to slow down and enjoy life. Real estate prices in Costa Rica and the Central Valley in particular remain reasonable. 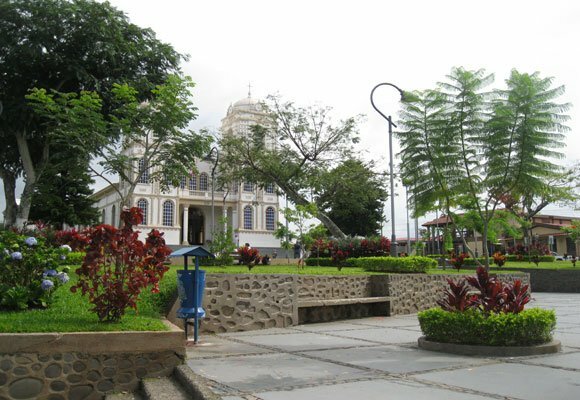 The most popular areas for foreigners are to the west of San José, including towns like Grecia, Atenas, San Ramon, Sarchi, Escazu, Santa Ana, Puriscal, and Ciudad Colon. 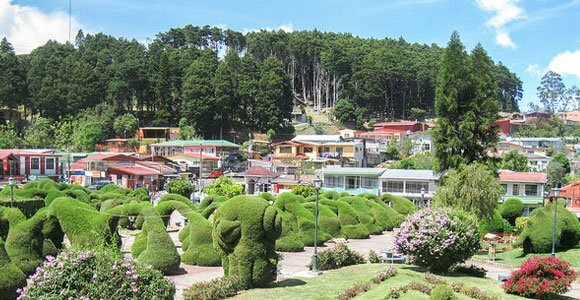 But if you head east of the capital, you’ll also find attractive towns and neighborhoods like San Pedro, Pinares, the Granadilla/Altamonte area, Curridabat, Tres Ríos, Barrio Escalante, the Orosi Valley, and Cartago. A three-bedroom, two-bathroom, 1,900-square-foot home in the El Cajon area of Grecia. The property includes a large kitchen with a view of the valley, a sun room, and a large living room. Below the home is parking space and a workshop. The paved drive has an electric gate and the front yard has room for fruit trees and tropical flowers. Price: $150,000. A 2,000-square-foot, three-bedroom, two-bathroom home in the Jardines del Beneficio neighborhood in Heredia. Covering two stories it also has a two-car garage and a terrace. The kitchen features granite countertops and other modern features. This house is close to shopping and five minutes from the National University. Price: $185,000. A modern, 1,100-square-foot, loft-style condo with one bedroom, two bathrooms, and a garage. 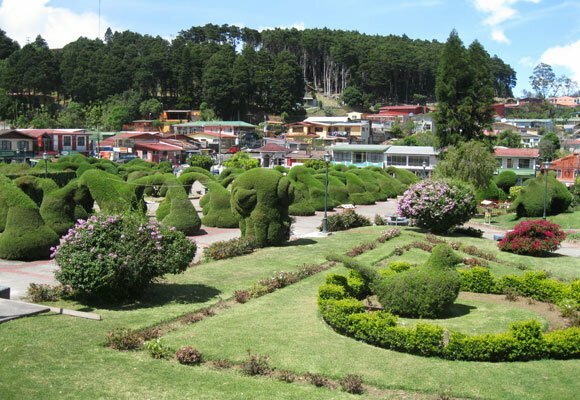 It’s located in the Altos de Horizonte subdivision, which has a community park and tennis courts. Price: $145,000. One of the reasons that many expats continue to flock to the Central Valley is the reasonable cost of living that is still available. See below for a slideshow demonstrating the unique charms of the Central Valley. 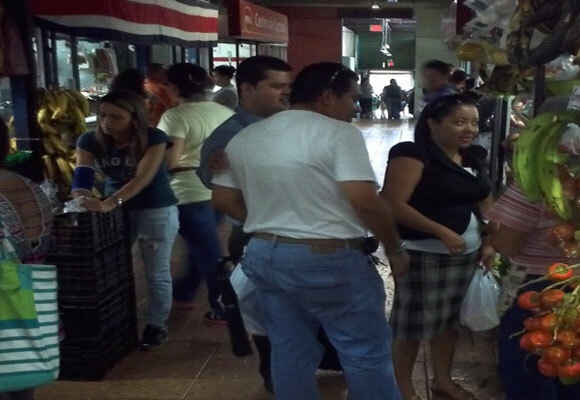 The Mercado Central, or Central Market, is the place to buy fresh produce, meat, fish, honey, and more. Most towns have a market like this, usually located near the bus station to cater to residents without cars.